Even more powerful, exciting & evolved. Never more adventurous. 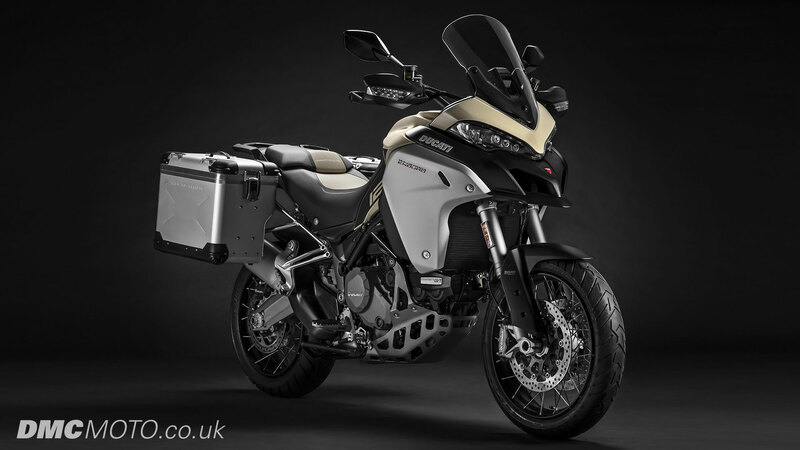 The new Multistrada 1260 Enduro has just arrived and is ready to go. Equipped with a new Testastretta 1262 engine, a lower saddle and handlebars as well as an innovative interface to configure it according to your wishes. A journey that will take you beyond borders whether you choose asphalt, dust, stone or mud. This exciting new model features a key benefit (alongside many other updates) of having a reduced ride height making it accessible to a greater number of customers. The new seat height is 860mm with reductions in height in other areas too, such as handlebars. Are you adventurous enough to follow it?